It's not that we are privy to holding grudges or anything. 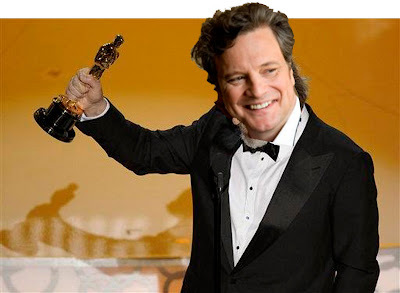 But the fact that the dapper Mr. Colin Firth will be squaring off with His Dudeliness Jeff Bridges for the Best Actor Oscar (Sunday, 7PM Central on ABC) for the second year in a row means that we are being forced to tear open an old wound. Last year the Academy gravely disappointed us in overlooking Firth's stunningly beautiful A Single Man performance despite our solid assessment of the odds that that would not happen. Make no mistake—we do think you're alright, Jeff Bridges. We think you make a heckuva White-Russian-slurping, no-job, feng-shui-enthusiasting bowler, and we admire the work you do with our own Minnesota-grown Coen brothers. It's just that we're about 99.9993% sure that this year, the Academy will not abide (sorry, Dude. ).